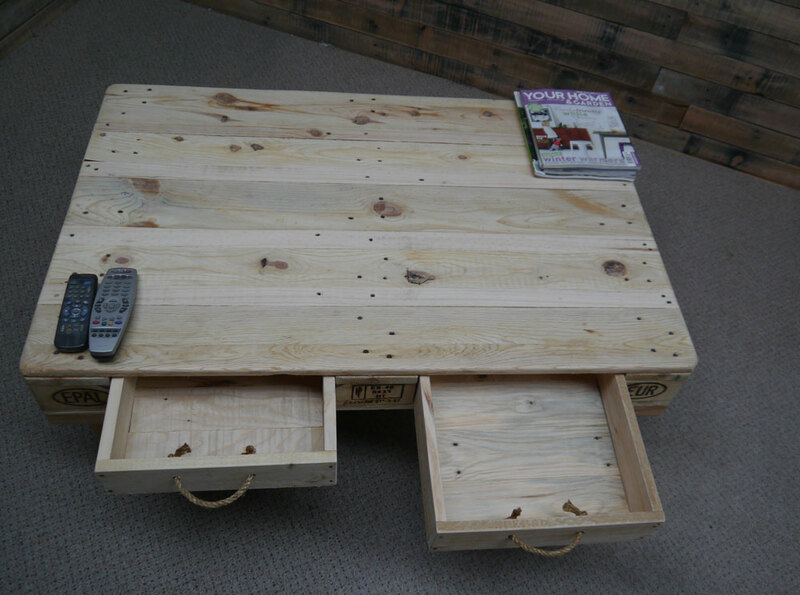 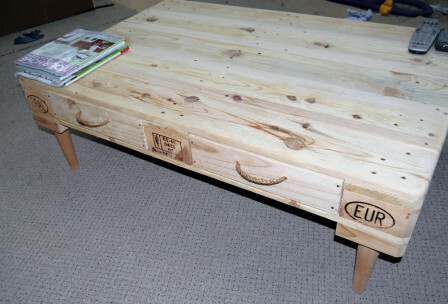 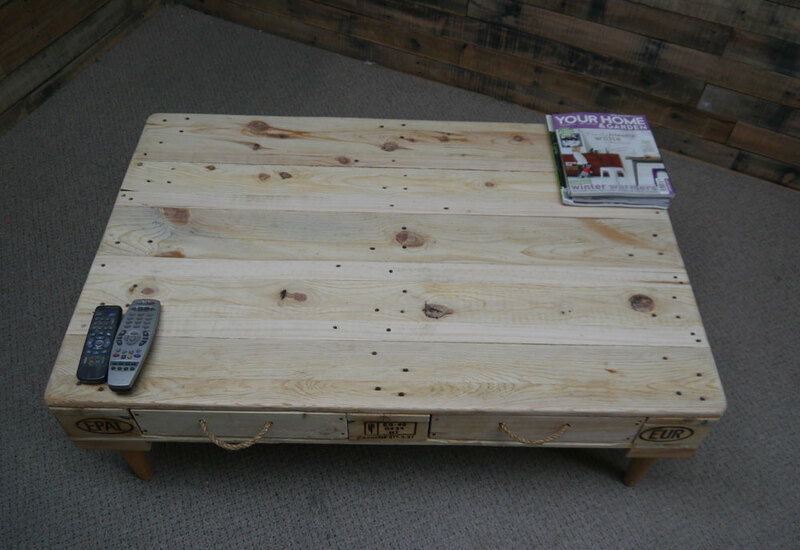 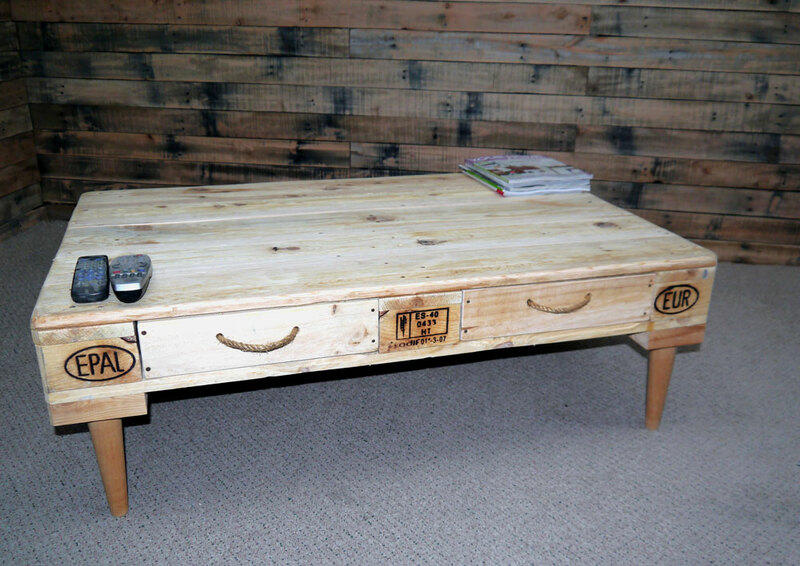 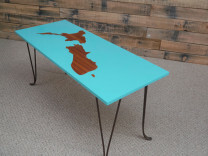 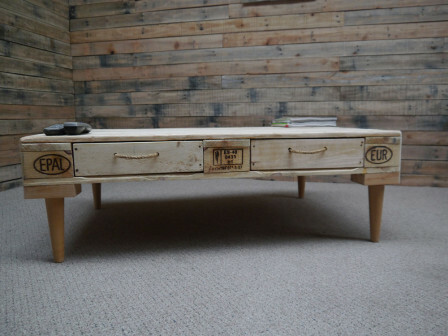 Pallet coffee table combining modern design with retro features. 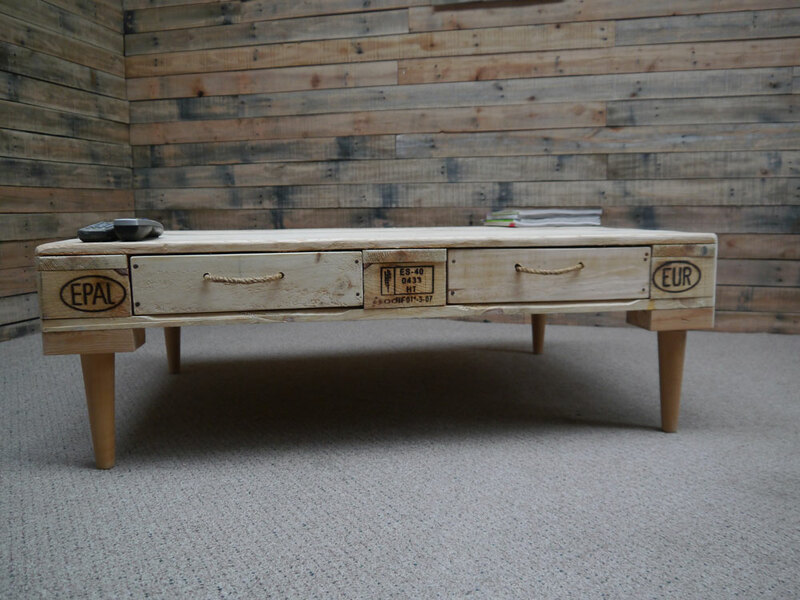 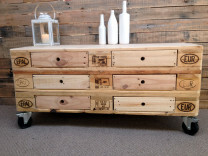 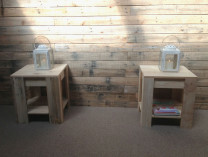 Four functioning draws and smooth timber furniture for modern living! 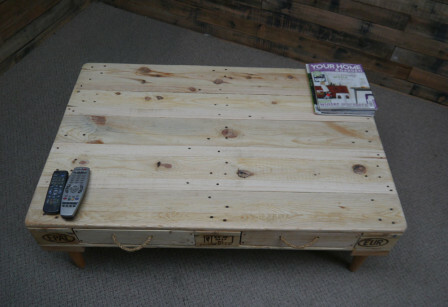 Dimensions: 1200mm long, 800mm wide 400mm high.